According to the Freight Transport Association (FTA), ULEZ will simply damage small businesses and their livelihoods while delivering limited air quality improvements. From today, most vehicles entering the Congestion Charging Zone – vans, cars, HGVs, coaches, buses and motorbikes – will need to meet strict exhaust emission standards to avoid receiving a fine upon entry. But in the view of FTA, the scheme will not be a transformative measure – as intended by the Mayor of London, Sadiq Khan – but rather it will cost the livelihoods of those working for and served by many small businesses in London. While FTA recognises and supports the legal obligation to improve air quality, there is a serious question over the effectiveness of the scheme in reducing emissions. Operators and vehicle manufacturers have already led the way with investment in cleaner technologies through developments in engine standards; this has helped to reduce levels of key pollutants more than 20-fold over recent years. But instead of recognising this, the proscriptive introduction of the zone is prematurely bringing forward the fleet replacement cycle at huge cost to many small businesses and operators of specialist vehicles. This scheme – the pre-Euro 6 vans scrappage scheme – offers three alternatives to those affected: operators will receive £3,500 for scrappage and purchase/lease of Euro 6 replacement; £6,000 for scrappage and contribution towards running costs (including insurance) of an electric vehicle; and frequent users of the Congestion Charging Zone will receive £3,500 for scrapping but not necessarily replacing a vehicle. With little more than two and a half years’ worth of compliant vans in the fleet, there is no established second-hand market for Euro 6 vans from which businesses that traditionally buy previously owned vehicles can tap into. 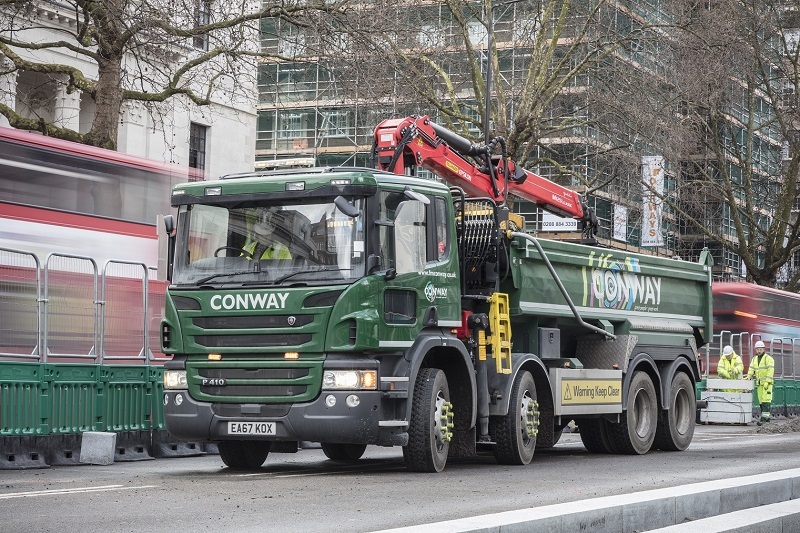 TfL has been exploring how businesses can access second-hand Euro 6 vans, so ‘compliant’ does not have to mean brand new – an important development to ensure affordability for businesses of all sizes and keep London trading effectively. FTA is pleased to see support for the smallest businesses through proposals for a van scrappage scheme; these are businesses which would be hardest hit by any sudden changes in operating compliance. We will continue to argue for limited so called “sunset clauses” for operators based inside the wider Zone to permit them the time they need to meet the compliance requirements of the new zone, while not endangering positive overall progress on air quality. The daily charge to enter the Zone for non-compliant vehicles weighing up to and including 3.5 tonnes, such as cars and vans, will be £12.50; for non-compliant heavier vehicles, including lorries weighing over 3.5 tonnes and buses/coaches weighing over 5 tonnes, the charge will be £100 per day. The set emission standards are: Euro VI/6 for all diesel-engine HGVs, buses, coaches, vans and cars; Euro 4 for all petrol-engine vans and cars; and Euro 3 for motorbikes. From October 2021, the ULEZ will expand into the Inner London area bounded by the North and South Circular roads. Natalie Chapman, Head of Urban Policy, FTA.